March 2016 we began the process to become ISO certified. 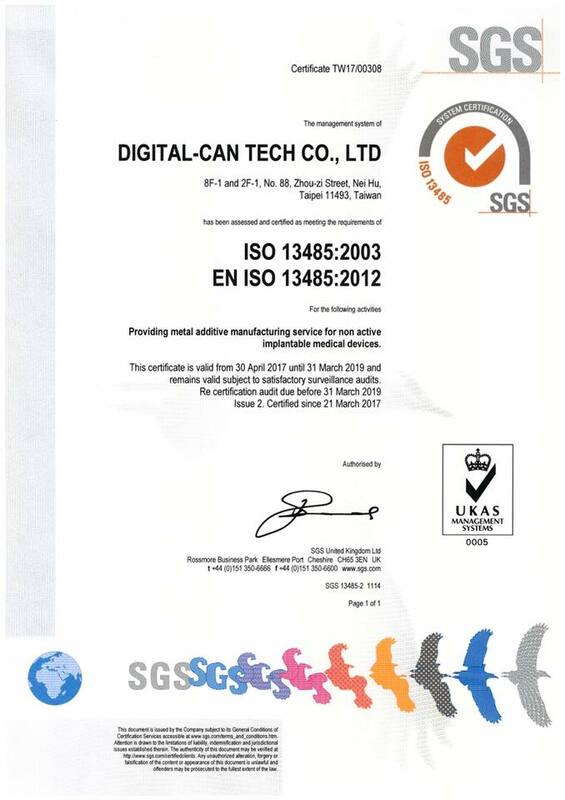 May 11, 2017, Digital-Can received SGS ISO13485 official certificate. DCT became the first metal additive manufacturing certified supplier in Taiwan. Implemented the use of industry’s highest graded equipment in EOS M290, combined that with Ti64ELI, specific equipment for specific use. “LEGEND” Scientific Research Vessel for the Taiwanese Ocean Research Institute (TORI).